To reproduce a good chocolate cake every time, you need a recipe. Success does not happen by chance. 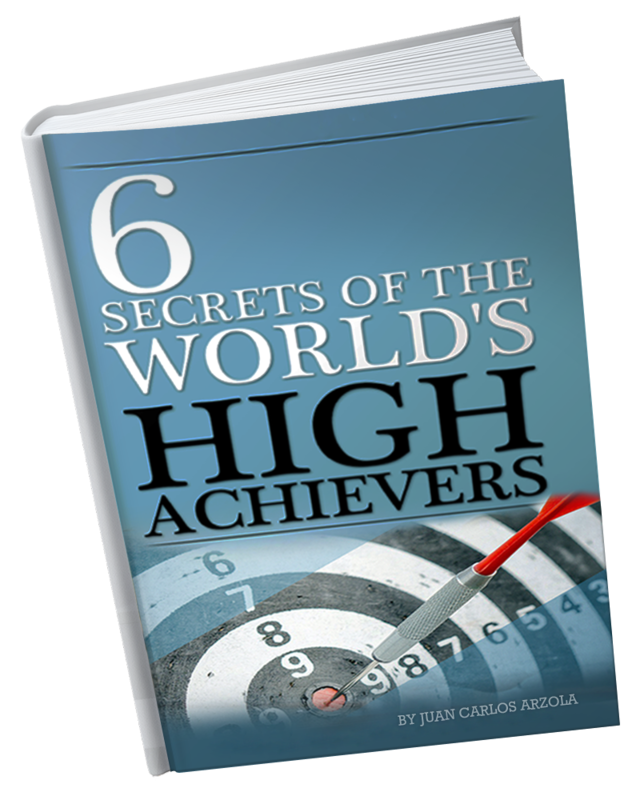 Discover in this eBook the 6 secrets necessary to achieve your goals. Did you know that 95% of resolutions and goals never succeed? Learn to be part of the 5% who reach all their goals and achieve your goals faster than ever! Juan Carlos Arzola is a Serial Entrepreneur, Bestseller Author, Mentor and one of the world's leading high performance coaches. Being an expert in Growth Strategies, he has already supported more than 100,000 entrepreneurs in more than 20 countries around the world. From humble beginnings to becoming world-class business leader, he has developed several successful companies. He supports Entrepreneurs, Business Leaders, Corporate Executives, Celebrities and Global Government leaders who generate tens of millions of dollars, want to make a difference; live and leave a lasting legacy. You are in good hands to achieve your goals and to move your business results to the next level. "Juan Carlos gave me some coaching...thank you so much. I appreciated it. I learned a lot." "Thank you for sharing Juan Carlos! There is a lot of joy, happiness and great radiance in you"
"Thank you for leading." One kiss on the forehead is full of love and respect. One of the stars of 'The Secret" movie. "Thank you for coming Juan Carlos!" At his private home office in Ontario, Canada. Join thousands of subscribers! Get 6 strategies on how to reach your goals without stress.